Posterous enables you to broadcast your Posterous blog post (whether or not it was created by email, screen capture or onsite blogging). You can also specify a target for a specific email post, e.g. twitter@posterous.com. 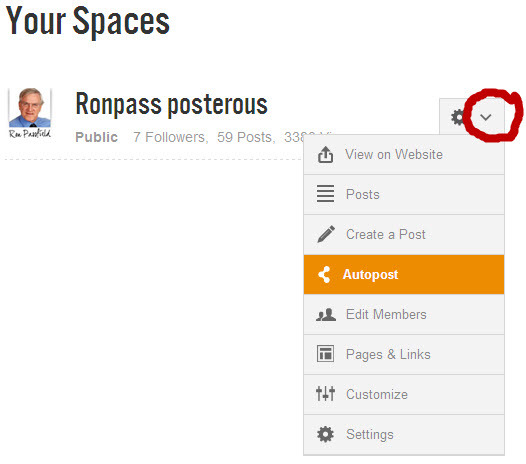 You can set up the specific accounts in the “autopost” area of your Posterous site to advise where to broadcast your blog post. 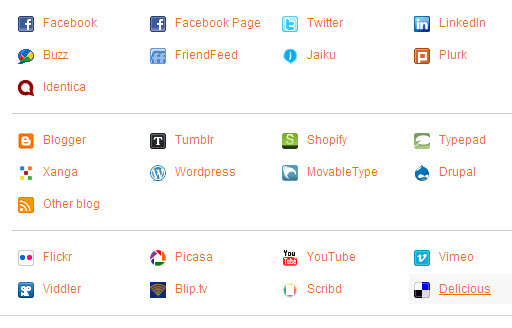 The above image lists the social media sites that you can auto-post to with Posterous. Posterous, through email and screen capture blogging, gives you the power to leverage your online content (blog posts, articles, Squidoo lenses, Hub pages, videos. podcasts). The autopost facility allows you to levrage your hard work in creating online content by simultaneous broadcast to other social networking sites. At the time of writing, I have set up my site to post my Posterous blog posts (however created) to my Affiliate Marketing Coach blog (Blogger.com) and to my Facebook site. So you can set up a sequence of auto-posting that suits your style of operating and fits with your small business marketing strategy. 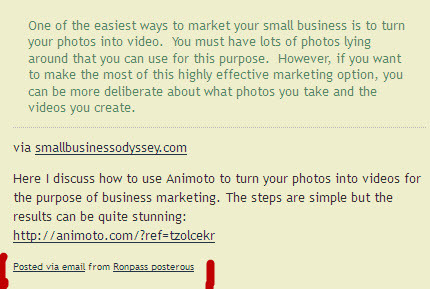 The original blog post on Small Business Odyssey was posted to my Posterous blog via the screen capture bookmarklet. I have added a comment and a link to my target URL (automatically hyperlinked) and Posterous has auto-posted the Posterous blog entry to my Blogger.com blog. You have the option of letting Posterous post directly to each site you nominate or have it feed into one of your sites that is set up to auto-generate other posts. Allow another site (e.g. 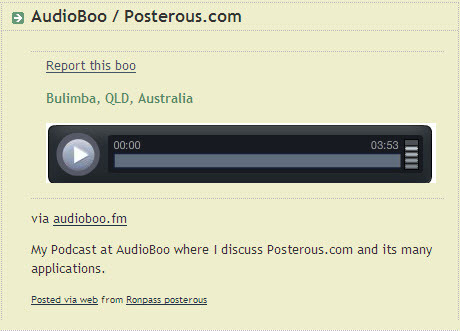 AudioBoo) to autopost to your Posterous blog and setup the latter to autopost to selected sites. Posterous through its email blogging and screen capture blogging supports an array of options for auto-posting and creating leverage for your online content as part of your small business marketing.